For us, the hardest part about Callum getting braces was giving up popcorn. We've been eating popcorn as a snack around here since he was the smallest of babes, and I had to pick off the fluffy bits so he wouldn't choke on the kernels and husks. Back then we called it "pop-pop." Fast forward to the school years and popcorn was an afternoon staple around here. The first snack Callum could really make himself. It's been nearly a year now, and I'm still struggling to find a good after-school snack (boy needs to eat when he gets home) that's not too over-the-top unhealthy, is satisfying and that Cal can manage himself. Lately we've been buying Chex Mix at the grocery store and gobbling bag after bag of that. Apparently we need crunch. 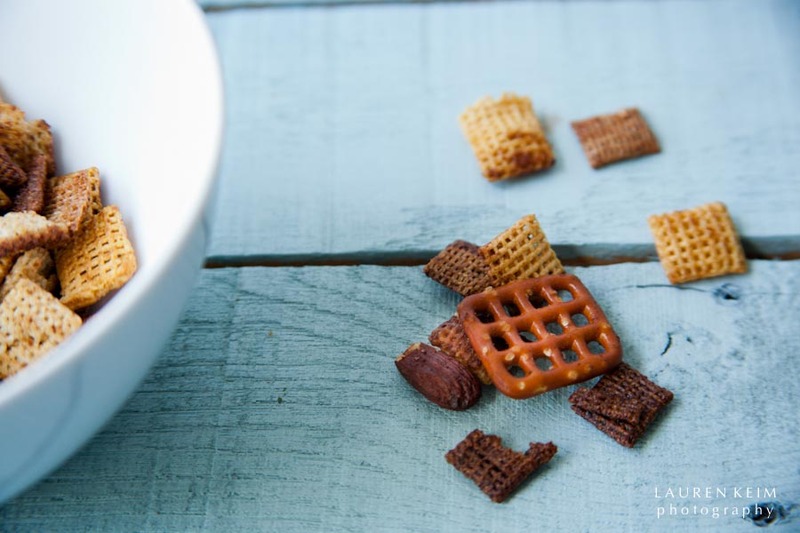 Every winter, at Christmastime, I make homemade Chex Mix for us to snack on...it's a tradition around these parts. And while I'd thought about making Chex Mix for our everyday, somehow I resisted. I wanted our traditional holiday snack to still feel special. This weekend I caved. I'm tired of buying bags of Chex Mix (tasty though it is) with processed ingredients when we all love the homemade versions so much. 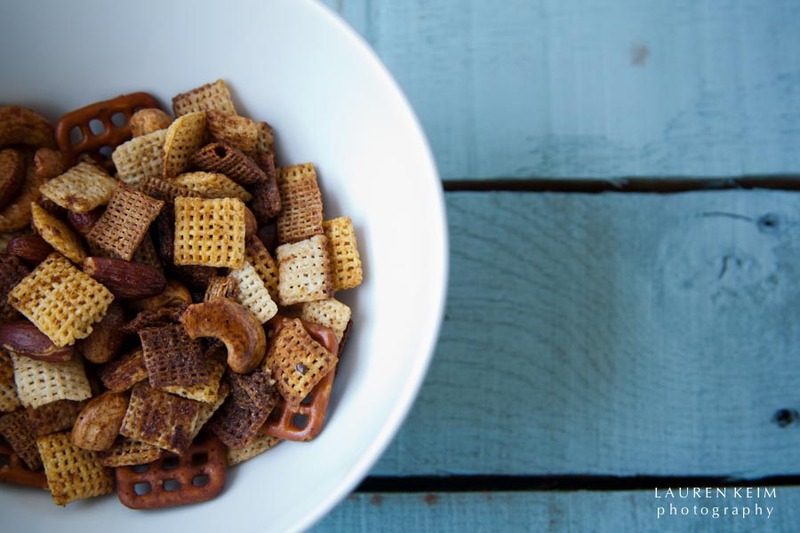 When I make it, we determine the mix of stuff (heavy on chex, heavy on nuts, light on pretzels), and while it's not completely healthy (can you say butter? ), at least I know what's in it. My decision to cave and go ahead and make it, off season, was met with universal praise. 100% of my constituents approved. I have two problems now, however. First, living with this stuff in the house while I'm working home alone all day. And second, if a big container of this manna from heaven is going to sit on my counter, I am going to need a prettier, air-tight container. Can you get on that for me, Erin?